"With my Maple Custom Absolute Nouveau setup I have everything I need for any musical situation from the studio to the live stage. With thunderous bottom-end, mid-range punch and high-end cut the drums deliver a beautifully full, controlled sound every time. The huge pitch range within each drum also makes tuning a breeze." 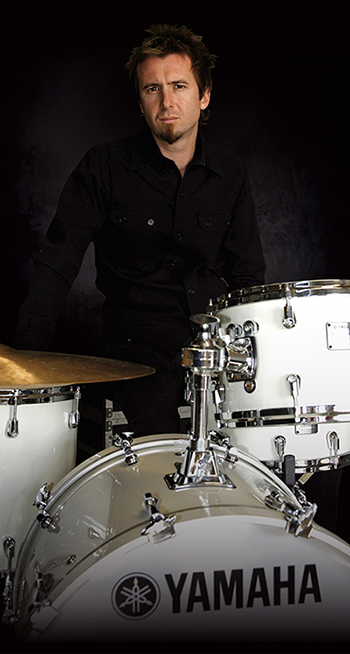 Lee started his musical career at the age of seven when he was given his first drumkit. Self taught up to the age of thirteen he had his first formal lesson and continued on under Merrick McCallum's drum school until age eighteen. Fast-track to 1993 when Lee moved from his regional home to begin playing seriously in the prime metro venues. He quickly developed a reputation for his solid rock drumming and the ability to provide feel and high-energy onstage. He has worked with a long list of talented artists including Alex Lloyd, Shannon Noll, Darryl Braithwaite, Jimmy Barnes, EJ Barnes, Beau Young, Carmen D Smith, The Whitlams, Shane Nicholson, Rick Price, The Hands, Lavaland, Bridgette Handley, Song Zu, Paul Greene, Tiffani Wood, Diesel and Rob Hirst's Ghostwriters which included a performance at Live Earth 2007. In 2004 Lee also began work on his own original project, The Lost Gospel, fronted by Grinspoon singer, Phil Jamieson.